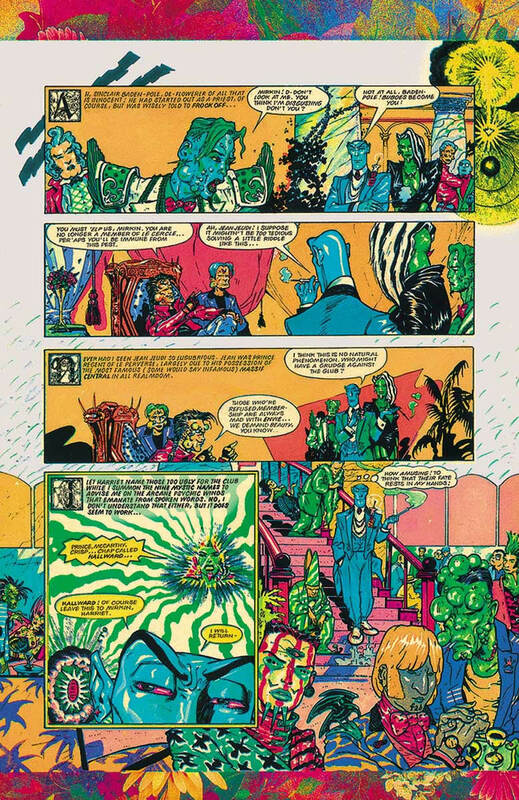 Written by Peter Milligan, drawn and coloured by Brendan. 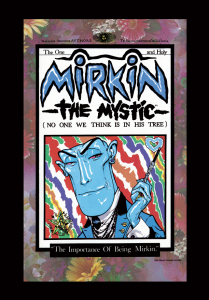 The Mirkin the Mystic comic strip is “a perfectly formed and sweetly perfumed bonbon, delivered with a knowing smirk — and a heavy sigh of Weltschmerz”. 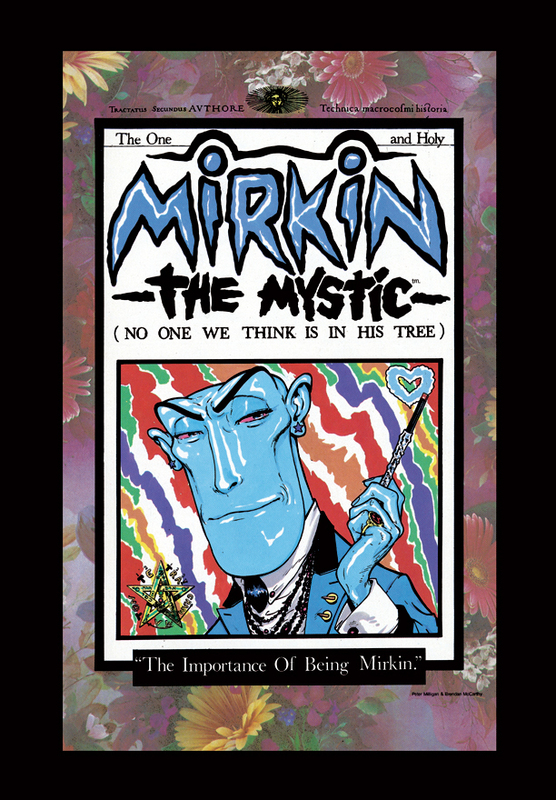 Mirkin is the quintessential bon vivant and dandy — an elegant but rather world-weary young man. 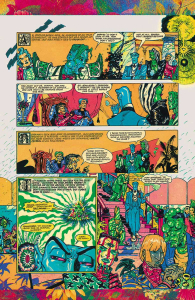 In order to save his dubious friends, Le Cércle Pervers, he travels to our worldly realm, retrieves the skull of Oscar Wilde and together, they find the origin of a ghastly plague that has laid to waste Le Pervers.